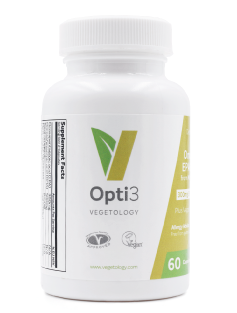 Natural omega 3 EPA and DHA with added vitamin D3. The omega 3 acids are important mostly to prevent cardiovascular diseases and depression. It can be used by children and pregnant women. 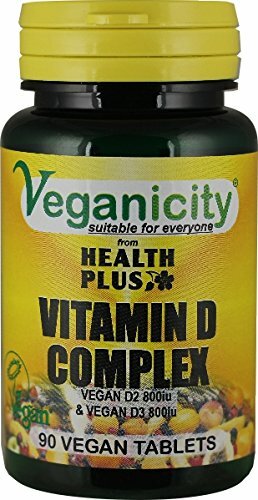 Ingredients per tablet: Omega 3 complex (micro-algae oils, sunflower oil, antioxidants (rosemary extract, tocopherols, ascorbyl palmitate)), vitamine D3 rich in lichen extract, vegetarian capsule (potato modified starch, vegan glycerol, eucheuma seaweed, mono and diglycerides of fatty acids, coating agent (carnauba wax)). For the best results, take 1-2 capsules per day with food. If you prefer, capsules may be perforated and the oil added to food. Contains soy derivatives. Without gluten, sugar, wheat and dairy products. Consult your physician before taking any supplement. Food supplements can not be used as a substitute for a diversified diet. Keep in a fresh and dry place and keep out of the reach of children. 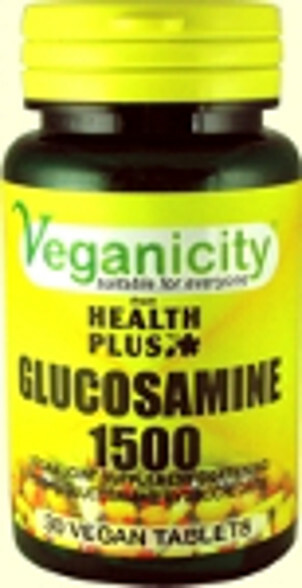 Approved by the Vegan Society and by the Vegetarian Society.